Rampion will host a free Archaeology Information Evening on Tuesday 12 June (7pm) at the Ropetackle Arts Centre in Shoreham. The archaeological work involved with the development and construction of the wind farm has uncovered a number of finds that will enable a greater knowledge and understanding of the local past. Marine surveys found an aircraft propeller, anchors and maritime and aviation wrecks and revealed submerged paleolandscapes. 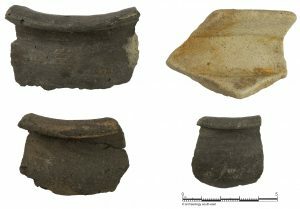 Land-based work found evidence of human activity from hunter-gatherers after the last Ice Age through to post medieval-modern agricultural techniques. The event is for anyone interested in archaeology and keen hear more about how the Rampion work was carried out and what was found. There will be speakers from Rampion, RSK, Wessex Archaeology and Archaeology South-East – and the event will be free to all. After the presentations there will be refreshments and a chance to see some of the finds and talk to project archaeologists. To register your intention to attend please email Rampion: info@rampionoffshore.com.